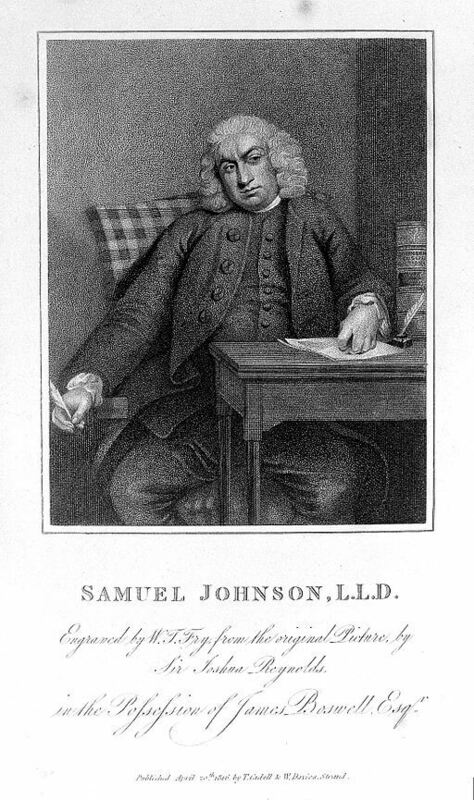 An introduction to The Life of Samuel Johnson would be incomplete without Boswell's appropriately precise subtitle: "Comprehending an Accounting of His Studies and Numerous Works, in Chronological order; A Series of his Epistolary Correspondence and Conversations with Many Eminent Persons; and Various Original Pieces of His Composition, Never Before Published: The Whole Exhibiting a View of Literature and Literary Men in Great-Britain, for Near Half a Century, During Which He Flourished." Boswell's dedication was to Sir Joshua Reynolds in his first edition published in 1791. By the third edition, edited by George Birkbeck Hill, D.C.L., it was revised and augmented into four volumes. Though Boswell published numerous biographies and travel guides, his writings about Samuel Johnson are considered his finest. He published Boswell's Life of Johnson , which includes The Journal of a Tour to the Hebrides with Samuel Johnson, LL.D. (1785), and The Life of Samuel Johnson, LL.D. (1791). We chose the abridged version edited by Charles Grosvenor Osgood (1917) for our readers' enjoyment. We have added chapter divisions to allow reading in multiple sittings. Return to the James Boswell library.